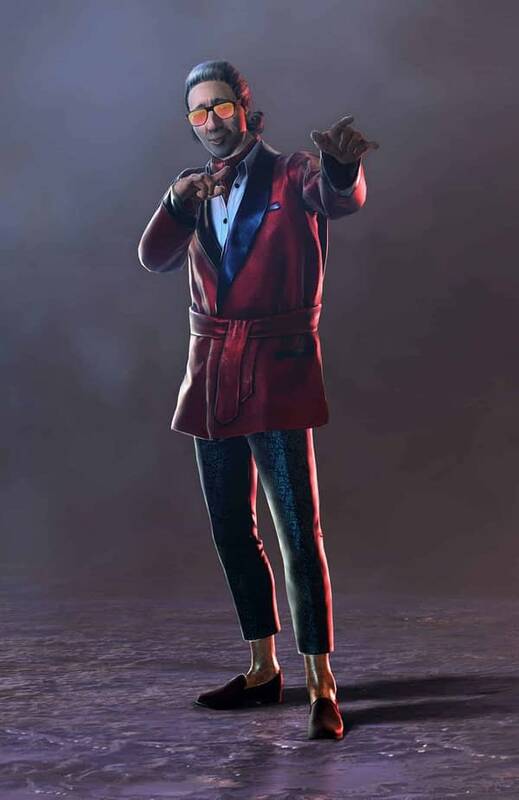 Earlier today, Behaviour Studios released a couple new items of note for Dead By Daylight, including a fashionable new smoking jacket. You can see the jacket and the description of it below, but along with it came something far more interesting as the company released plans for a new roadmap. 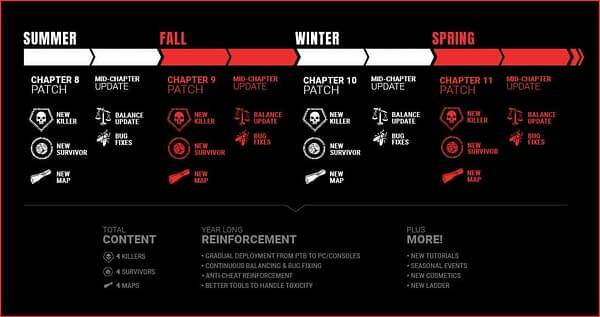 The new updated map shows plans for the game’s third year of content, which includes a brand-new killer every season, along with a new survivor and map each time they update. We’ll see where it takes us, as there has been nothing revealed for the killer coming in the fall yet. Just look at him, ladies and gentlemen. Ace Visconti is the picture of style and grace. 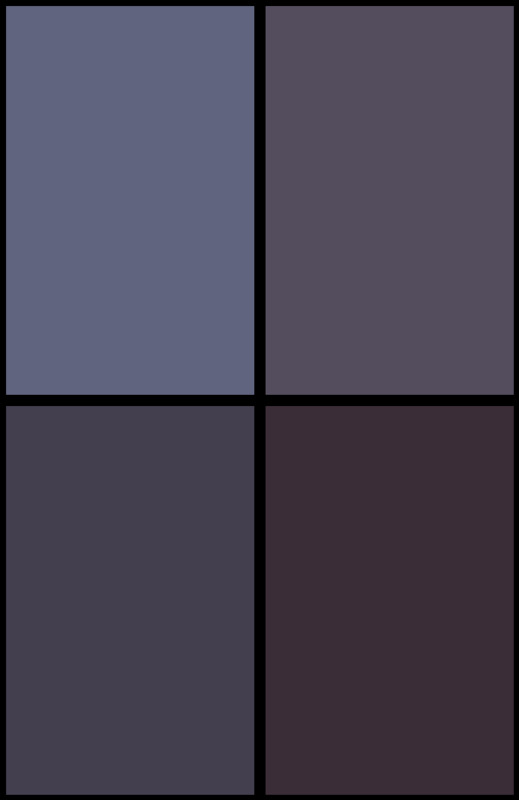 Or at least, he will be after today’s new outfits. We’ve got just a tidbit of news for all Dead By Daylight fans today. The man, the myth, the LEGEND – Ace Visconti is featured in the store’s latest round of cosmetic outfits. Card up your sleeve with Ace’s Smoking Jacket Collection. Ace learned in the streets of Argentina that a confident look is key to win big. No matter what the scam is, dressing up gives you an edge. Smooth-talk your way out of The Fog with Ace’s Smoking Jacket Collection, which showcases the Tomcat, High Roller, and Golden Nugget outfits.